Inductivist: Non-whites saving us from the socialism of young white idiots! Hillary will only win if The Donald gets stumped in the GOP leadership selection process. It's increasingly looking as if Trump will gain the Republican nomination and he has by far the most cross-party appeal to minorities and white Democrats of any likely GOP candidate. Gobsmackingly he is even likely to pick up 30% of Jeb's! followers! I guess winners create their own vortex. 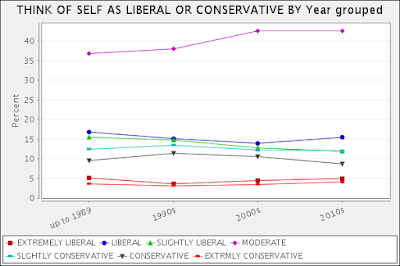 There are still far greater % Liberals in the non-White racial categories than among Whites, and the changes in the graph are small (esp compared to the changes in demographic composition)... They just aren't interested in Sanders for other reasons. Re: Jayman's comment, he's got this thing about White Western European groups being "WEIRD" and extraordinarily Open, and that this is a separate social factor. I suspect this is more of his typical ignorant nonsense. 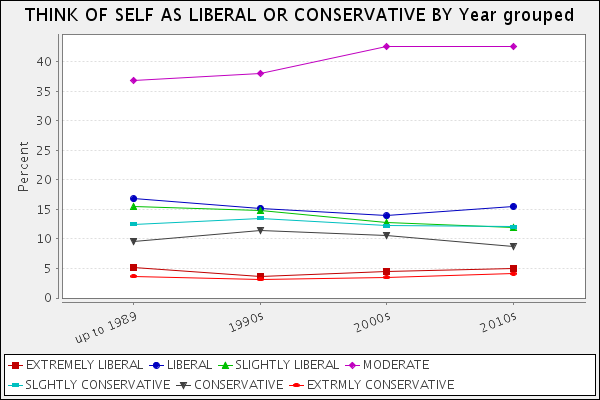 If you look at it properly, you'll find a few correlates with wealth and intelligence / education (greater social trust, greater freedom of speech), among American born groups of different ethnicity, that can be argued to be greater liberalism, but that'll be about about it.